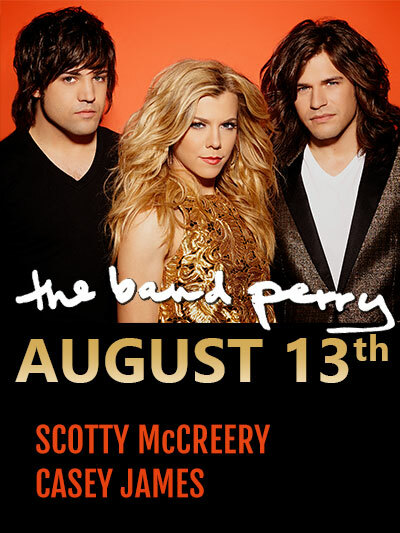 Due to an unexpected scheduling conflict, The Band Perry must move their show up from Thursday, August 13th to Tuesday, August 11th. 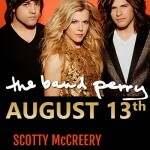 The support act will also change from Scotty McCreery to Jana Kramer. the opening act, Casey James, will remain the same. We sincerely apologize for any inconvenience and if you cannot attend on the rescheduled date, refunds will be offered from point of purchase up until the new show day, August 11th. Thank you!